How big is our solar system? 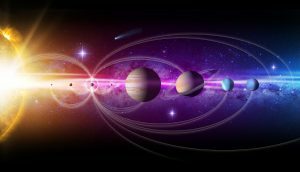 How far away are the planets? The size of space is difficult to imagine. Join the O’Brien County Naturalist for a hike through the prairie to discover the distance to our near and far solar neighbors. We will be creating a walking model of the solar system starting at the center and heading off down the path. You may be surprised by how far apart our planets are spread! Join us for this event at the Prairie Heritage Center on April 15 at 5:30 p.m.